Gemtree Vineyards owns 330 acres in the heart of premium wine region, McLaren Vale and has been the home of Paul and Jill Buttery for over 20 years. Located at the foothills in McLaren Flat, the home-block, Gemtree Vineyard is planted to Shiraz, Tempranillo, Sangiovese, Merlot, Cabernet Sauvignon, Chardonnay and Verdelho. The Tatachilla Road Vineyard, near the coastline, with its 40 year old vines, produces Shiraz, Cabernet Sauvignon, Riesling, Chardonnay, and Semillon. The Gemtree Vineyards label was created in 1998. We are first generation winemakers drawing on the expertise from three generations of grape growing. In a genuine family operation, each member participates in the production and marketing of their organic wines. Jill and Paul’s son, Andrew, heads up Gemtree with marketing support from wife Helen. Daughter Melissa is the viticulturist, and her husband, Mike Brown is Gemtree’s dynamic winemaker. The large organic vineyard with over 20 different soil types ensure that we can nurture and select the very best parcels of fruit to make the Gemtree range of organic wines. 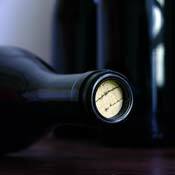 Ultimately, it is our passion to build a top quality wine brand that will be highly regarded for years to come.